“The queer project ‘Freak’ is one of my most successful installations. The starting point of this series of installations is my own experiences in the Finnish school system. I chose three typical classroom items (in Finnish school) and tried to present them such way that they would challenge the conventional ideas of gender and sexuality in the school world. 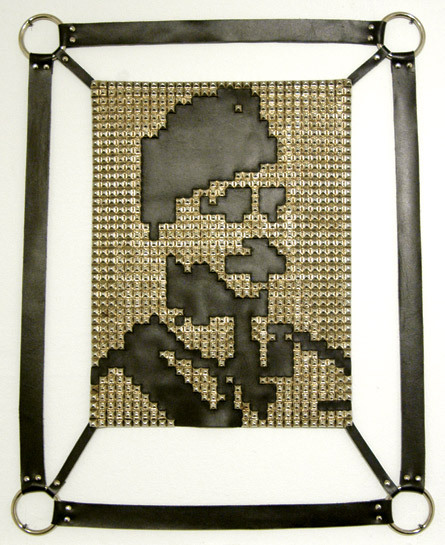 Freak (Official Photographs of the Presidents of Finland) includes 11 silhouettes of leather and studs. The silhouettes are “copies” of the photographs of all the presidents of Finland. The leather silhouettes are placed very high on the wall like the original photographs in classrooms. Theme, materials and place, they all deal with the power relationships – political power, state, underground culture, sexuality, S-M etc. Freak (Globe) is about the feeling of not belonging, and dreams of finding a different future, maybe by moving to a bigger city with a gay bars with mirror balls… Spectators can sit down behind the school desk and the globe rotating. Freak (Basic Education Act of Finland) is an installation, but also a carving performance. 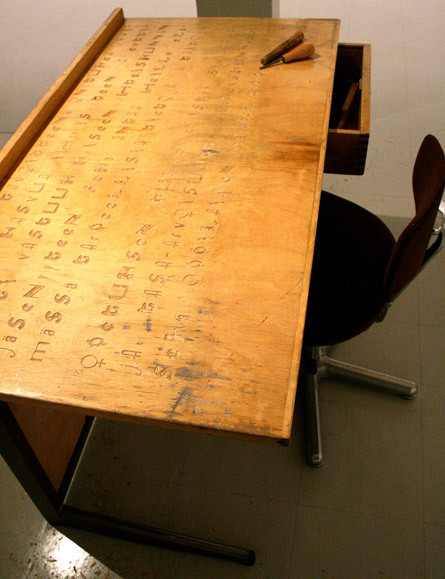 During the exhibition I carved the text from the basic education act of Finland on the teacher’s desk. The carved letters are copies of the logos and the name signs of Finnish gay bars, queer associations and happenings for example ‘S’ from SETA – Association for sexual equality in Finland, ‘H’ from Hercules gay bar. 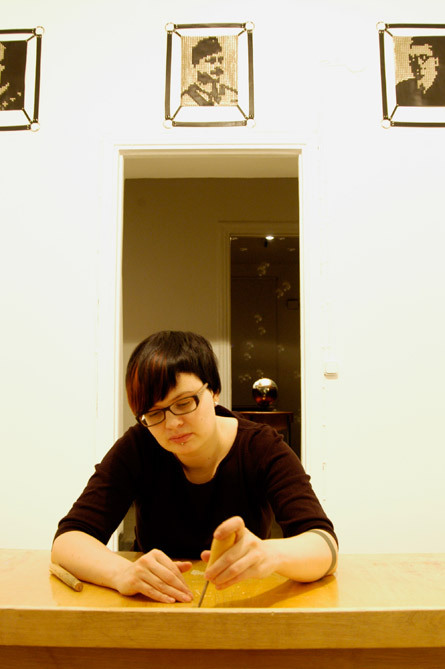 Laura Lilja (born in 1975) is a lesbian artist based in Pori. She earned her Master of Arts at University of Art and Design, Helsinki, Finland in 2004. Her latest exhibitions are ’Grow Up And Get a Life’ at Lönnström Art Museum and ‘Heroes’ at MUU Galleria, Helsinki, Finland.